AUSTIN, TX — Vista Brewing, a hospitality destination located on a 21-acre historic property in Driftwood, Texas, will open on Friday, April 20. All are invited to join the Vista team, as they debut Texas’ newest brewery simultaneously with delicious on-site fare, scenic event spaces, farm, apiary and walking trails throughout. The beer program, led by award-winning brewmaster, Josh Watterson, features traditional beer styles that pay homage to European origins, while honoring the Texas Hill Country. Watterson, who came to Vista from Brasserie Saint James in Reno, NV, will feature beer styles such as Dark Skies Black Pilsner and Merriwether Foraged Brett IPA, a seasonal collaboration with Foraging Texas using wood sorrel, agarita and dewberry blossoms. Watterson has already launched an extensive barrel program, with 50 barrels from neighboring wineries aging to perfection, including their Commencement Barrel-Aged Brett Ale, using Bending Branch Winery barrels that will be available on opening day, and two unique Belgian-style lambics, which will age in barrels up to 18 months. All beers are made with water sourced directly from the limestone-filtered water well on property, offering a true taste of Texas’ environment. In addition to the Vista beers on tap, the tasting room menu boasts a curated wine list and non-alcoholic beverages, as well as a retail shop with items from local artisans. The concept was inspired by founders Kent and Karen Killough’s time living abroad, where they spent their weekends exploring pubs in the English countryside. Refreshing beer coupled with leisurely dining experiences and stunning views were abundant in England and became the husband and wife’s favorite activity. 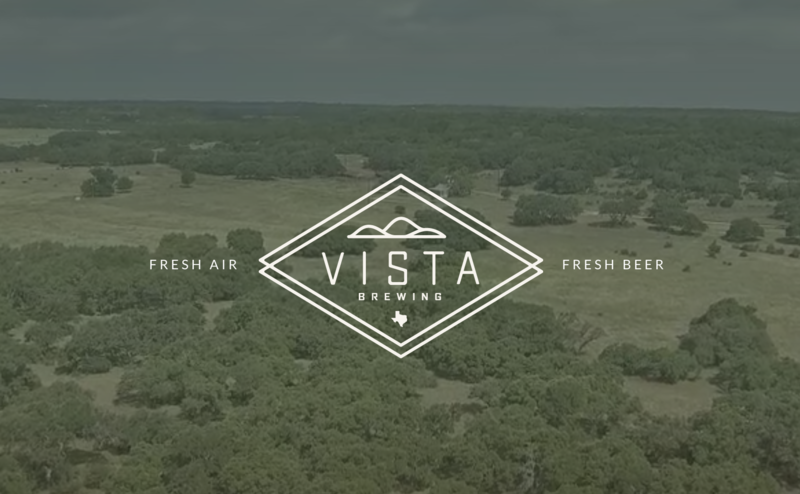 Given “vista” translates to view in Spanish, the Killough’s sought to build a destination brewery to showcase the Texas Hill Country’s natural beauty and history in the most sustainable way possible. Vista sits in the center of the original 1830’s land grant belonging to founding father of Texas, William Barrett Travis. One of the most notable aspects of the property is an 1840’s era dry-stacked limestone wall which the Vista team worked hard to preserve during construction. Designed by local architecture firm OPA Design Studio, the property’s grounds were crafted after numerous collaborations with horticulturists, farmers, foragers and civil engineers. The Killoughs created a modern ranch aesthetic with a village feel, while preserving the existing natural surroundings of the land. The 5,000-square foot brewery and 2,500-square foot tasting room, along with the multiple outdoor patios and outdoor kitchen are built amongst the 641 native oaks and elm trees on the property, allowing the structures to exist amidst nature. As the burgeoning Central Texas Wine Trail continues to flourish, Vista Brewing offers an all-in-one oasis for beer, wine and food lovers alike. Vista Brewing will open Thursday through Saturday, 11 a.m.-10 p.m. and Sunday, 11 a.m.-8 p.m. Visitors can enjoy an abundancy of parking with enough space for large parties and events. Vista Brewing is a hospitality destination in Driftwood, Texas, located 25 miles southwest of Austin, at the gateway to the Central Texas Wine Trail. Guests can experience “Fresh Air and Fresh Beer” in the Texas Hill Country in a modern ranch-style tasting room surrounded by acres of beer garden. The 21-acre property includes the brewery & tasting room, farm table food concept, apiary, farm and outdoor event spaces. Located at 13551 FM150 W, Driftwood, Texas, 78619, visit the property Thursday-Saturday, 11a.m.-10 p.m. and Sunday, 11 a.m.-8 p.m. Future phases on the property include an eco-friendly tiny home hotel, event pavilion and barrel house. Learn more at www.vistabrewingtx.com and on Instagram, Facebook and Twitter. Current tap list: Commencement Barrel-Aged Brett Ale, Merriwether Foraged Brett IPA, Middle Trinity Belgian-Style Tripel, Le Saison Hill Country Farmhouse IPA, Adair Kolsch, Shallow Roots Table Pilsner, Dark Skies Black Pilsner, Zwickled Pink Zwickle Pilsner collaboration with Pink Boots Society and Destination American IPA.